, authorized by the ASIC of Australia and FCA of UK, extends an outstanding offer, a $50 bonus on Trial Account, to its newly registered clients who did not already have a live trading account. 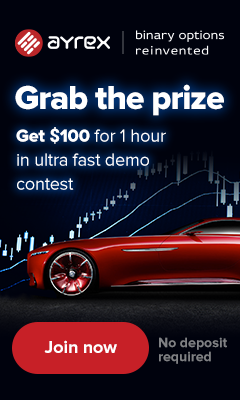 The offer lasts for three months ending on 31st of March, 2017; this would present you with a unique opportunity to advance your trading strategies using a live trading account. The clients are required to get in touch with their introducing brokers (IB) at AETOS to apply for the promotion. Other ongoing promotional programs can also be applied for within the period of this promotion. Moreover, the clients are not allowed to withdraw the bonus amount, but any profit made within the 30 days after registration is fully withdrawable. How to get Aetos 50$ welcome bonus? Here’s how you can use this great program. The process is done vicariously, so you should contact your “IB” at Aetos (Contact us to get instructions) to receive further info on the Trial Account. You’re also required to open a verified Mini or Professional account to which the $50 bonus will be transferred after registration. The bonus is offered once per client. The Trial Account is valid for 180 days and should be activated via deposit; otherwise, it will be terminated. The clients can withdraw no less than $50.